Abel Barrera, director of the Tlachinollan Mountain Center for Human Rights, has confirmed that the team of experts from the Inter-American Commission on Human Rights (IACHR) will analyze the investigation of the massacre and forcible disappearance of the students from the Raúl Isidro Burgos Rural Normal School which took place on 26 September in Iguala. The IACHR continues to seek out persons to come to Mexico to review the evidence provided by the Federal Attorney General’s Office (PGR), the search-work carried out by the National Gendarmerie, and to decide whether the authorities are in fact exhausting all lines of investigation. Barrera Hernández has confirmed that an agreement had been signed with the federal government to ensure that the experts also be protected by the precautionary measures that the IACHR will award to the parents of the disappeared students. Meanwhile, the search for the disappeared students continues. The relatives of the 43 normalist students from Ayotzinapa began their citizens’ searches on Saturday 10 January in the northern sierra of Guerrero, in the community known as Filo del Caballo. During a meeting between the parents of the disappeared and representatives from the Citizens’ Forensic Science organization, which has documented more than 300 cases of disappearances in this city, Felipe de la Cruz, a father of the disappeared, indicated that their counterparts have information that suggests that the students could be in this region. De la Cruz recalled that all social organizations are invited to participate in the search for the students. He repeated that the parents would not request the assistance of the federal government, given that it has produced no results, more than 3 months after the students were taken. “They have no leads. They have arrested more than 90 [people], but no one has said where they are. For that reason, we believe the word of the people,” he declared. Beyond this, on 12 January, parents of the disappeared students had a confrontation with military riot police and state forces when they attempted to enter the barracks of the 27th Infantry Batallion in Iguala, to continue their search for their disappeared sons. Students who were present near the infantry base were attacked by the police with tear-gas and water-cannons. The protestors used two trucks to tear down the entrance of the base and rescue the students they believe are being held there. Mobilizations against military installations spread to the Acapulco and Cruz Grande municipalities. In these, protestors demanded the opening of the barracks to facilitate the search for the disappeared youth, as they hold that there is “evidence” that the Army participated in the crime. Regardless, the federal authorities deny that that is the case, and they claim the case to be the responsibility of the municipal police of Iguala and Cocula, tied to drug-trafficking interests. 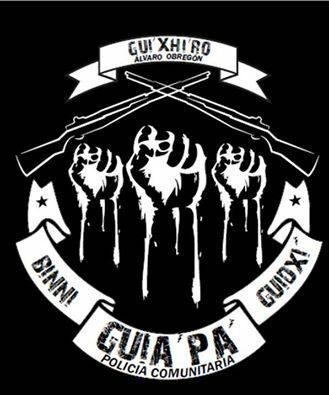 Over the course of only ten days, two attacks were denounced against members of the “General Charis” Communal Police (Binni Guiapa Guidxi) in the Binnizá (Zapotec) indigenous community of Álvaro Obregón, in the Juchitán municipality of the Tehuantepec Isthmus. 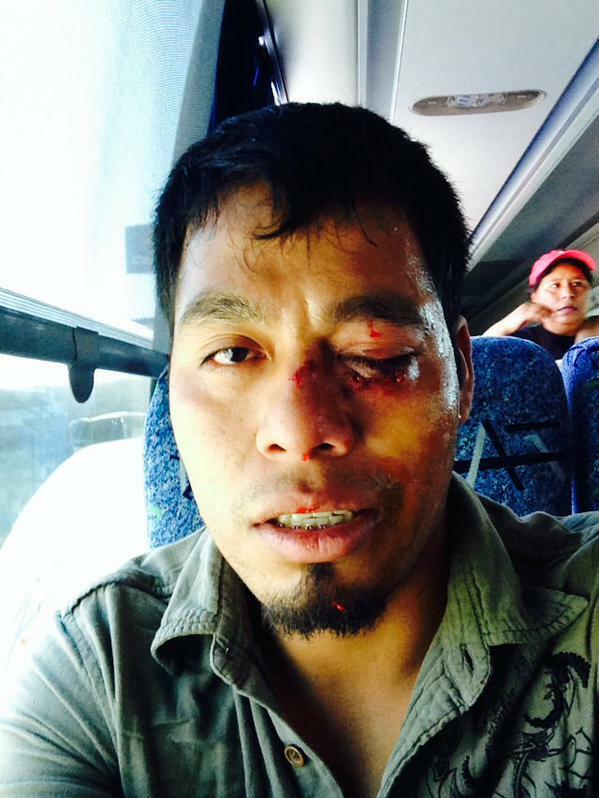 On 31 March, four units from the Communal Police were stoned by persons identified as being members of the official police overseen by the mayor of Juchitán, Saúl Vicente Vázquez. As a result of the attack, the window of the Communal Police’s vehicle was broken and an agent was injured in the neck. 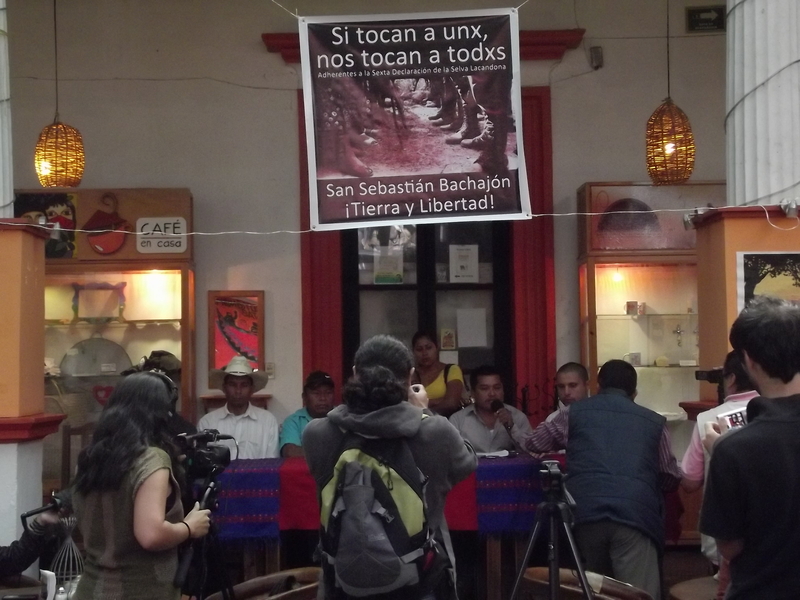 Beyond this, on 9 April, the Assembly of Indigenous Peoples of the Isthmus of Tehuantepec in Defense of Land and Territory (APIITDTT) denounced that gunmen dressed in civilian clothes fired on a member of the Communal Police on eight occasions from an official police vehicle. The attacks did not, however, succeed in injuring the intended target. The APPIITDTT indicated that there exists a tense environment in the Álvaro Obregón community amidst the possibility of new attacks. It should be recalled that, also on 22 March, 12 members of the Communal Police and of the communal authorities of Álvaro Obregón were arrested by the municipal police of Juchitán. On 1 March, José Rolando Pérez de la Cruz (21 years of age) was arrested by municipal police in Acala without any stated reason and has been held in the local jail since that time. He was last seen there alive by his grandmother, who arrived when the youth was transferred to the hospital for injuries and a bleeding face. The police action resulted in the release of a denunciation of homicide holding the local police responsible. After the arrest, relatives and residents of Acala mobilized to mourn his death outside City Hall, assuring that they would remain there until actions would be taken to punish those responsible for his death.